We started the day at the trail head with clouds overhead and a chill in the air. And after hiking outward and upward for a good 3 hours on the Appalachian trail in north Jersey, we finally reached the top of Mount Mohican. Time for lunch! 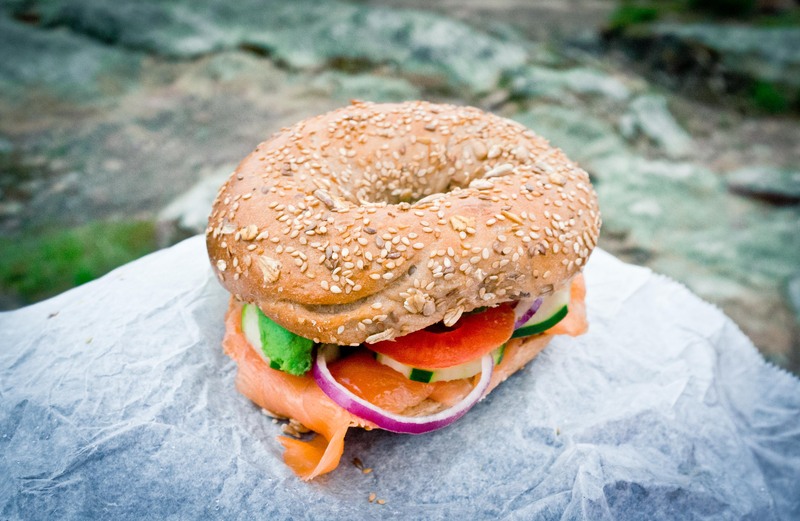 For me, a health bagel from Murray’s Bagel in Chelsea with smoked salmon, avocado slices, cucumbers, tomatoes and onions. Hearty and fresh, this was perfect to refuel before we start the hike down the mountain.